Alycia Morales has been writing since her grandmother taught her how to write her ABCs. Since then, she's been published in a variety of places including ChristianDevotions.us, Thriving Family magazine, Splickety Love magazine, and various books. She is represented by Jonathan Clements of Wheelhouse Literary Group. She is also a freelance editor and a ghostwriter. Several of her clients have gone on to win awards for their writing or their books, including Best New Writer at Write to Publish, Selah Awards, and the prestigious Director's Choice Award at the Blue Ridge Mountains Christian Writers Conference. 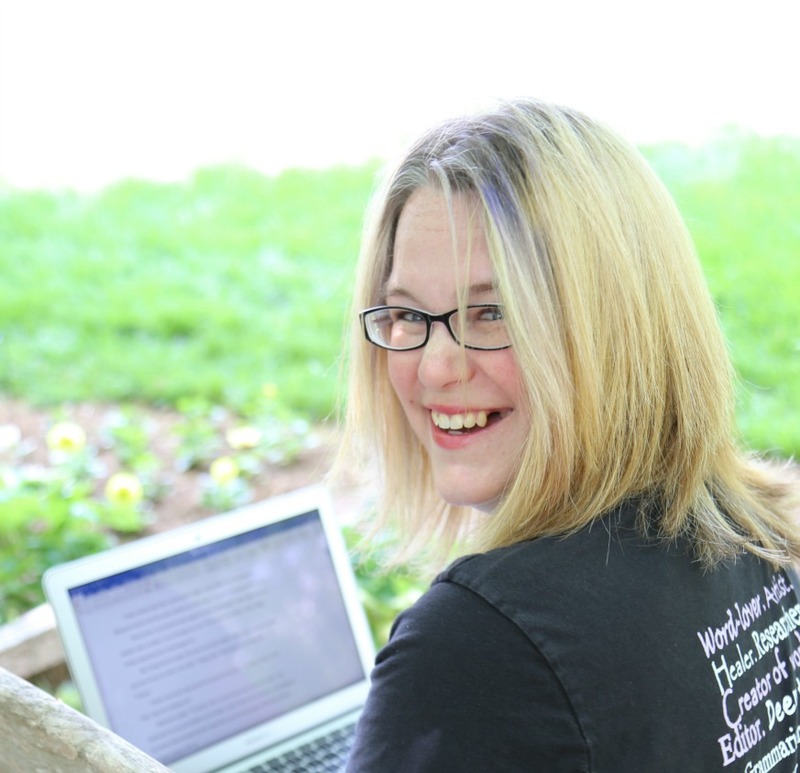 Alycia has served as an Associate Editor at Lighthouse Publishing of the Carolinas, where she edited fiction and non-fiction books and was on several of their publishing boards, including Firefly Southern Fiction and Beacon Heritage. Alycia is a member of ACFW and SCBWI. She served as the president of her local writers group, Cross n' Pens, for two years. She also serves as conference assistant to the director of BRMCWC and Mountainside Marketing, Edie Melson. When Alycia isn't busy writing or editing, she enjoys spending time with her husband Victor and their four children. Her hobbies include hiking, reading, watching television and movies, taking photographs, Happy Planning, making jewelry, and crocheting. She is quite fond of coffee and chocolate, but the coffee must be decaffeinated or she'll suffer a headache for three days. I have a passion for reading entertaining fiction and inspiring nonfiction. Combine that with my love for writing, and my internal editor leaps with joy. Every book, article, and devotion deserves to be the best it can be. A thorough round of editing followed by a proofread is an excellent way to perfect your pages. That's where I come in. Experienced in editing blog posts, web material, devotionals, and manuscripts, I love bringing an author's manuscript to its fullest potential. Understanding the value of excellence, I want to see your work shine so publishers will take notice. *Note: I have worked with fiction writers in several genres, including contemporary, intrigue, suspense, sci-fi/fantasy, and historical. I am also willing to work with children's chapter books. I do not have experience with children's picture/board books or Bible Studies. And I apologize in advance, but I don't read Amish fiction, nor do I know the ins and outs of their culture, so I wouldn't be comfortable editing this genre. Proofread - $1,000 for the first 80,000 words. $10/0-1,000 words after. I look for the basic errors in grammar, punctuation, spelling, formatting, etc. I recommend this be the final stage of the editing process. I look for basic grammar, punctuation, and spelling errors, as well as basic content issues that may have been missed in a substantive/content edit. These are minor issues such as a slip up in POV, a slight mishap in the timeline, etc. These are not major issues such as character development and plot structure. Substantive/Content/Deep Edit - $1,800 for the first 80,000 words. $20/0-1,000 words after. In addition to the items I look for in a copy/line edit, I will be looking for character arc and development, story structure, tension, conflict resolution, and other things craft related. If you are writing nonfiction, I will be considering your voice, authority, and anecdote usage, among other things. I recommend this type of edit to be the first part of the editing process. I highly recommend this service if you are a first-time writer looking for an editor. I find that first-time authors make the typical "mistakes," including (but not limited to) overuse of adverbs and adjectives, telling instead of showing, and POV (point of view) errors. I like to mentor you through a rewrite of your manuscript so that you are learning grammar and the craft of writing as you go through the process of editing your book. This is a back-and-forth process between me and my client. My promise to you is that you will be a stronger writer and your story will be in much better shape by the time we are finished, providing you are willing to take sound advice, do the required work, and put in the time necessary to complete the task. When you are finished, your manuscript will be ready for a professional edit. Please note that our communication will primarily be through e-mail. Manuscript Critique - $7 per page. Minimum 20,000 words. Maybe you don't want an edit. Maybe you'd just like someone to look through your manuscript and point out its strengths and weaknesses and offer suggestions. If so, this service is for you. Ghostwriting - Varies based on scope of project. Please use the link above to contact me for more information. *Note: I do not read entire manuscripts before editing them. Many first-time authors seem to expect an editor to do this. This takes valuable time and is not realistic. If you would really like me to do that for you, I will do so for a reader's fee of $400, in addition to the cost of the editing service. Alycia Morales uses her editing skills to add a professional touch to fiction and nonfiction manuscripts. Not only does Alycia have an innate knowledge of grammar and punctuation, but she also contributes to content with a focus on the writer’s voice and genre. I’ve recommended her to several writers and will continue to do so! As a first-time author, I could not have asked for a better choice of editors than Alycia Morales. She was encouraging, knowledgeable, and patient. These attributes shined as we polished my manuscript, but also as she provided insight into the characteristics of good writing. I recommend Alycia to anyone needing to proof their text, to increase its readability, or to rework their materials. She was an essential part of bringing my manuscript to publication. What I wanted in an editor was someone who was professional, scrupulous, kind, and who paid careful attention to detail. Alycia met and exceeded my expectations. As an author, I worry when assigned a new editor - but I needn't have been concerned at all with Alycia Morales, my editor for Fields of the Fatherless. She was a delight to work with! Her suggestions did not change my story, just enhanced it. I was so pleased working with Ms. Morales and hope to do so again. I would highly recommend Alycia Morales as editor for any of your literary projects. She is consistent in follow-through and response. She is creative in offering ideas to expand the original thought of your work - making it better in the end than in the beginning (without changing the heart of what you are trying to express to your readers). I recently hired her to edit a book I co-wrote with another writer. I was amazed by Alycia's editing ability. Nothing slipped by her! She is concise and uncritical. But she also has a way about her that put me at ease even with her positive and constructive advice. Thank you, Alycia! I would give your name to anyone seeking an editor and/or writer!